After years of epic battles, the Dark Knight finally finds a way to cure the twisted mind of his archenemy. The Joker...is now sane. The Clown Prince of Crime has now changed his ways, fighting for good in Gotham City, and it may just cause Batman to go over the edge of his own sanity. 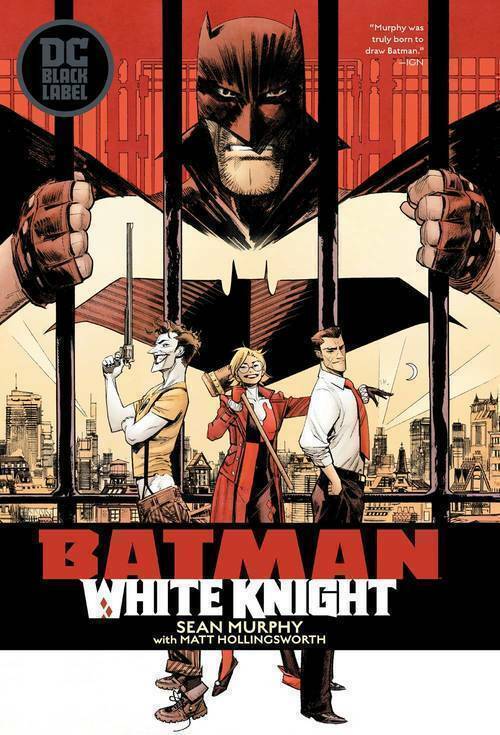 Writer/artist Sean Murphy takes the helm of this Batman/Joker story like no one else could, delivering an alternative examination of the relationship between the greatest rivals in the DC Universe, exploring the darkest corners of justice and madness. This title is the first collected edition from the new DC Black Label imprint, and includes the entire eight-issue miniseries!